Autumn flavours with a very "wicked" icing. We’re in between seasons at the moment. Spring has “officially” arrived (here in Australia anyway) yet winter just doesn’t want to leave! As I sit here typing this blog post, it’s a dreary day outside. Part of me wishes to be exploring Rome again but hey! that’s life! And whilst we experience this “in-between-ness” I think it’s only appropriate to indulge in some sweet comfort foods. I don’t mind waiting! As long as there’s food I’m a happy chap. It certainly helps make things a lot better! 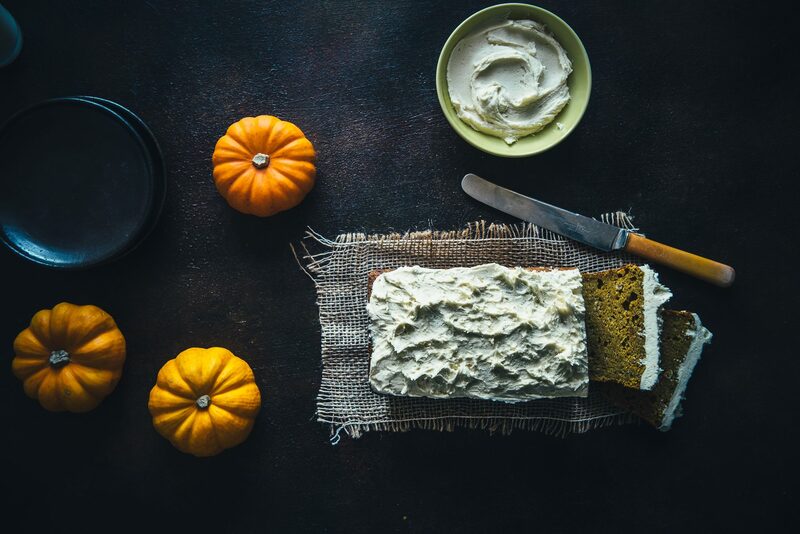 This pumpkin maple cake that I whipped up the other day was the perfect antidote. The roasted and mashed pumpkin played well with the sweetness of the maple syrup. Along with warm spices of cinnamon, cloves, ginger and nutmeg and a “wicked” icing my afternoon started to look brighter! I tested it twice (just to be sure!) and came to the conclusion that the icing was definitely needed on top. You may wish to omit the icing if you think there’s too much sugar. I’ve also used spelt flour but regular plain flour will work too. Roasted pumpkin, maple syrup and a heap of warming spices make this pumpkin maple cake a real winner. Don't forget the complementary vanilla icing. Preheat your oven to 180 deg C and line a baking tray with baking paper. Place the pumpkin pieces on the tray can cook for approx.45 mins until softened. Once cooked remove from the oven and allow to cool. Using a fork or your food processor mash the pumpkin until smooth. Add the melted butter, eggs, maple syrup and vanilla to the pumpkin and mix well. Set aside. Combine the flour, baking powder, salt and spices in a separate bowl and stir to combine. Add the pumpkin mixture and stir again until everything is mixed well. Pour the batter into a cake tin measuring 22cm x 11cm, smooth out the top with a plaette knife and cook in a preheated 180 deg C oven for 40-45 mins until a skewer inserted comes out clean. Allow to cool before spreading with icing. To make the icing combine the ingredients in a stand mixer and beat until fluffy. Spread over cake and serve immedaitely.